Darci Janssen holds more than 18 years of experience in application development, database administration and program management. 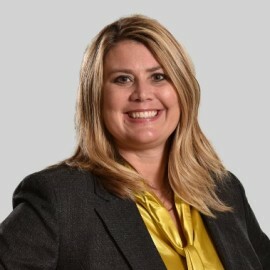 In her current role, Janssen’s responsibilities include managing the day-to-day operations of the IT department as well as providing leadership for implementing IT initiatives at Holmes Murphy, which support overall business strategies. A graduate of the University of Northern Iowa, Janssen earned her B.A. in Management Information Systems. In her spare time, Janssen enjoys attending Iowa football games and spending time with her husband and twin daughters.